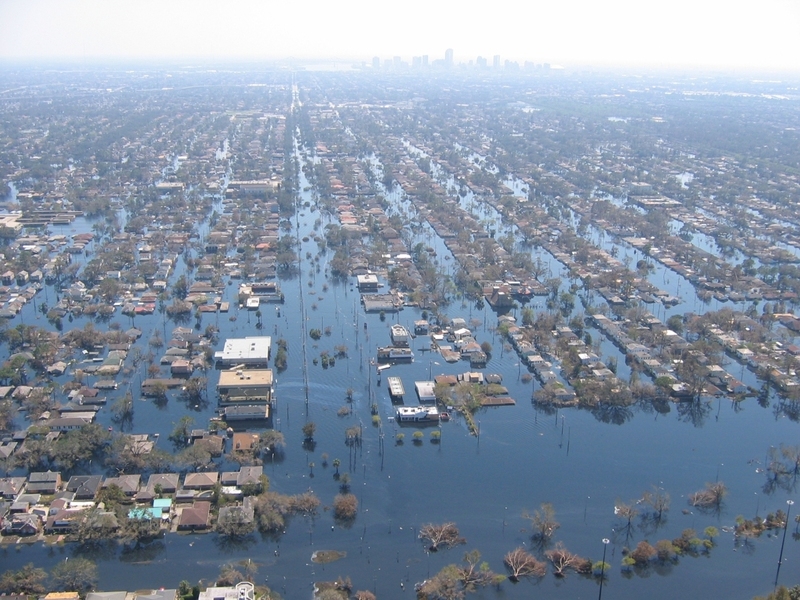 View of inundated areas in New Orleans following the breaking of the levees surrounding the city as the result of Hurricane Katrina. New Orleans, Louisiana. 2005 September 11. Image Credit: Lieut. Commander Mark Moran, NOAA Corps, NMAO/AOC.